Crawley Triathlon Club meets at the K2 Leisure Centre every Sunday morning at 9.00. 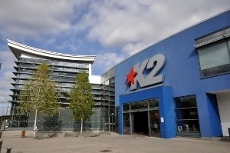 K2 contains a 50m swimming pool, and is next to Tilgate Forest, which is used by Crawley Triathlon Club for training runs and mountain biking. Members qualify for discounts at Evans Cycles in Crawley and Up and Running in Horsham.